We’re excited to reach this milestone so early in our campaign, which shows there’s a large market of people out there who need our efficient, durable and technologically advanced Plevo luggage when it comes to solving their travel challenges. Travelers looking for the latest in smart luggage have invested over $100,000, more than double the crowdfunding campaign goal, to be the first to use the new Plevo luggage that’s now available on Kickstarter. Led by crowdfunders in the United States, Canada, the UK, Argentina and Australia, backers around the world have thrown their support behind Plevo early in the campaign. “We’re excited to reach this milestone so early in our campaign, which shows there’s a large market of people out there who need our efficient, durable and technologically advanced luggage when it comes to solving their travel challenges,” said Plevo Founder and CEO Federico Pelatti. Plevo features the world’s first patented garment hanger system – which uses a patented vertical hanger system designed to solve one of the biggest problems people face when they travel -- keeping garments wrinkle-free. Plevo is also the first smart luggage designed to be safe to fly around the world. “International regulators like IATA and EASA and have confirmed that Plevo is compliant with all the regulations because our battery is removable,” Pelatti said. 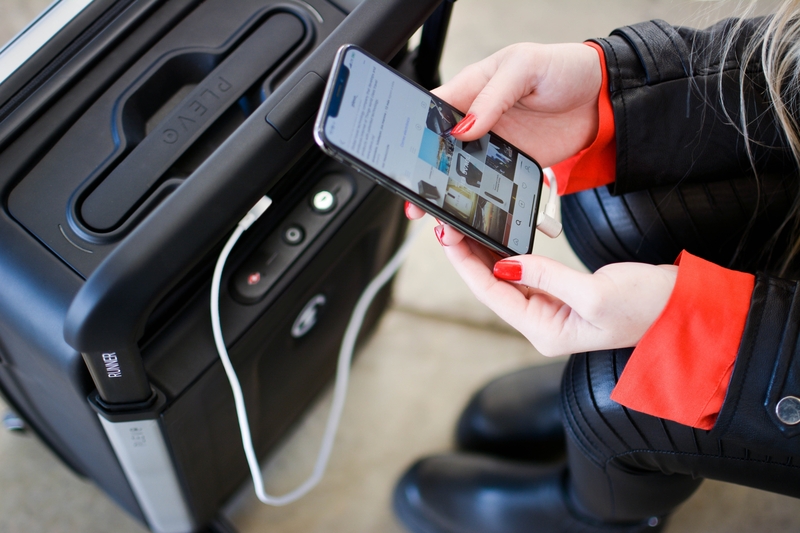 Created for both business or leisure travel, Plevo suitcases are available in three featured-models during crowdfunding – one carry-on and two for checked luggage. Travelers face many unknowns with their luggage: including whether their bags will make the weight limit, and where the bags go if the airline loses them. 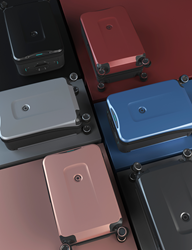 With its smart dashboard, Plevo is the first suitcase designed to solve both of those problems – offering a digital scale to let travelers know immediately whether their bags will make the weight limits. And featuring GPS location tracking so travelers can track their bag no matter where it winds up during transit. The largest Plevo model, the UP, contains a patented garment hanger to keep a traveler’s best business wear vertical and wrinkle-free during transport. The UP model is 31.4 inches by 19.7 inches by 11 inches, big enough to bring all the essentials and help busy travelers save time packing and unpacking. 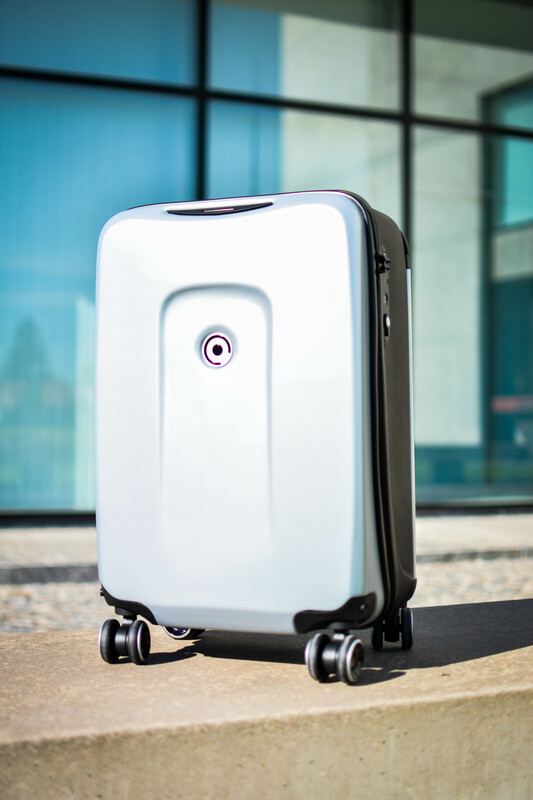 It also has removable 360-degree wheels, which means no more fumbling with a garment bag in one hand and a suitcase in the other when loading it into overhead airline storage. The Infinite model is also designed to be checked-in and is a bit smaller than the UP for maximum mobility – measuring 28.3 inches by 17.9 inches by 11 inches (with an expandable textile option that makes the depth 12.5 inches). The Runner model combines Plevo’s best features with the most portability. Measuring 22 by 13.9 by 9 inches, the Runner is small enough to be a carry-on bag. And, again thanks to the removable wheels, it’s even more compatible for overhead storage bins. All Plevo models comply with TSA, DOT, FAA and IATA (International Air Transport Association) regulations – and each model comes with a 100 percent lifetime guarantee. For more information and to pre-order Plevo at early bird discounts visit Plevo’s Kickstarter Campaign Page. The team behind the Plevo line of suitcases – including founder and CEO Federico Pelatti, co-founder and product designer Ivan Nieto and co-founder Federico Guyet – have delivered on solving a need that they experienced as prolific travelers. They wanted to produce the world’s first vertical luggage using smart technology. The idea came about in 2015 and the Plevo team spent three years designing and testing the product, then began the manufacturing process in 2018. Visit plevo.co and engage with Plevo on facebook.com/PlevoTravel/, instagram.com/plevo and twitter.com/plevo.